Perfect for the kitchen sink base and bathroom vanity. The Stainless Steel Tip-Out Tray features a sleek design with smooth, folded over edges and protective coating to minimize scratching and eliminate sharp areas. 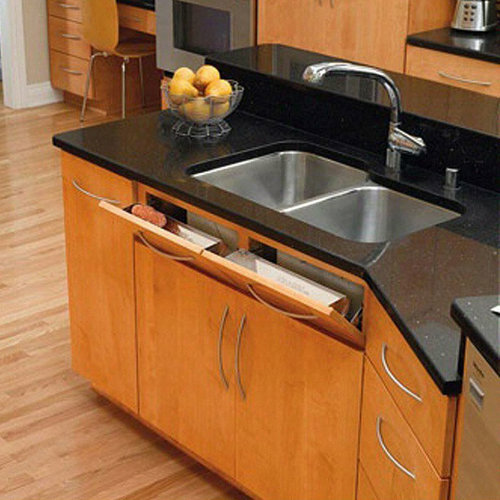 Make use of the sink base’s false panel without interfering with your sink. Fits most 33″ sink cabinets.